If this bench test of plastic cylinder heads is any indication, it’s possible – just as long as you’ve only got 40 seconds of mowing left to do. [Project Farm] has been running all sorts of tests on different materials as field-expedient cylinder heads for small gasoline engines, using everything from JB Weld epoxy to a slab of walnut. For this test, two chunky heads were printed, one from ABS, of the thermochromic variety apparently, the other in PLA. The test went pretty much as expected for something made of thermoplastic exposed to burning gasoline at high pressure, although ABS was the clear winner with two 40-second runs. The PLA only lasted half as long before the spark plug threads melted and the plug blew out. A gasket printed from flexible filament was also tested, with predictably awful results. As bad as all this was, it still shows that 3D-printed parts are surprisingly tough. Each part was able to perform decently under a compression test, showing that they can stand up to pressure as long as there’s no heat. If nothing else, it was a learning experience. And as an aside, the cylinder heads were printed by [Terry] from the RedNeckCanadians YouTube channel. That video is worth a watch, if just for a few tips on making a 3D-printed copy of an object. How about using the 3d printed part as a mould to cast aluminum? You know what way easier that most people can do at home? Cast zinc. Sure it may not last too long, but likely longer than a plastic part. Nice thing about aluminum is most people can cast it at home, and don’t have to work hard to find stuff to recycle. I wonder how strong a home brew cast aluminum part would be. That’s defiantly the next step here. Interesting technique using the drill press (non powered) to guide the tap to threat the hole. Should keep that in mind in case I need a perfectly straight threaded hole. Also liked the fact he made a cylinder head from wood. Seems the most sensible one I you ask me (considering time and cost). Anyway.. all useless but a fun experiment for a Sunday afternoon. That is an age old trick. It works well. Oh yeah, hand-turning a drill press chuck and using the bearings as a linear guide is handy as hell. Sure beats trying to perfectly balance rotational force with your hands on two little metal rods sticking out of the standard tap tool. I wonder how much longer this head would’ve lasted if he used a beefy metal threaded insert for the spark plug, to give far more surface area to the interface between the spark plug and the thermoplastic. It’s certainly the weakest link here, although obviously it wouldn’t be enough to give it permanent service. Not knowing anything about gas-engines, how high temperatures are we talking? Just out of curiosity. There are 3D-printable plastics that can tolerate quite high temperatures, and if they’re annealed, the limit rises still a little bit further, but I would assume the temperatures are still too high for those. Are you sure the head gets this hot? I’ve read that exhaust manifolds can reach these temperatures but I don’t believe the head itself actually reaches anywhere near that otherwise you have blown head gasket and warped heads. To my knowledge, which is, admittedly limited, most heads (at least in 4-cycle, water cooled engines) are probably between 170-200C max. I’d be interested in seeing this done with nylon, PEI, or PEEK, but not many people have printers at home that can reach the temperatures to print these materials. Um… my VW has aluminum cylinder heads. Aluminum melts at ~660*C. Aluminum BOILS at 2450*C.
The flame front may get this hot in the cylinder, but the heads themselves should not get hotter than 450*F (~ 230*C) or the aluminum will expand to the point the valve seats fall out. This is measured on my engine by a sensor that fits under the spark plug. I think he might be talking instantaneous heat at peak pressure in the chamber, right at the spark gap. Something like that wouldn’t reach the cylinder walls, and wouldn’t last more than a very small fraction of a second. If we’re talking realistically, we don’t want that figure; we want the highest persistent temperature maintained at the inner surface of the head. It’s still far too high for thermoplastic. It’s really kind of a wonder that even metal works in an internal combustion engine, but metal can move that heat out fast enough to survive. This is another shortcoming for plastic. It’s not going to shed that heat even close to as fast as aluminum would. Polycarbonate might survive for a good while longer than ABS, but it would eventually succumb to the fact that it doesn’t conduct heat away fast enough to stay below its glass transition temperature. Obviously it’s never going to be a preferable material. 1000C seems like a reasonable estimate. I remember seeing exhaust gas temperatures of 800C (albeit briefly) in the manifold of a “high performance” engine. One thing that keeps the heat down even though the combustion is much hotter than the melting point of the materials is one it’s intermittent and two the oil and cooling system carry away the heat that ends up in the engine components. Gasoline ignites at around ~230 C and burns hotter than that (up to ~1000C). Problem with using plastics, or most other materials, they dont transfer heat very well (aluminium is used specifically because it has good thermal conductivity) so the plastic will heat to far higher temperatures than metal will. I wonder why anyone would even consider a 3d printed cylinder head, firstly, it requires that you have a 3d printer, a very expensive and unreliable peice of kit, and then the time to wait whilst it very slowly builds up a facsimilie out of expensive plastic feedstock, and then destroys it in seconds. In the same time, with much cheaper and simpler technology, you could have cast several cylinder heads in aluminium, made from scrap, and then machined them on simple mechanical machines made many decades ago, and still working. These would be cheaper than the 3d printed ones, and would last! Apart from some niche technologies. like for instance, cellular printing of scaffolding to grow replacement organs on, 3d printingis a very specifc solution to a very specific problem. The ability to produce one off components in plastic at great expense has very limited utility. Industry developed much more efficient and cheaper ways of manufacturing the components it needs at a quality and price to suit the market, halfway through the last century! I agree that 3d printing is for specific solutions but I would argue that machining and casting parts is not a more cost efficient method overall. A decent 3d printer can be had for $500 or less these days and a 2 lb spool of filament for $15 – $30 which will make tons of parts. My Flsun printer costs about $200 and has reliably printed a ton of useful parts, toys for the kids and home solutions for pennies on the dollar. Casting and machining are solid methods of creating strong parts but I wouldn’t count 3d printing out as a viable solution to a lot of everyday/around the home problems. Many of us on this site do. Many more at least have access to one. Which are also expensive, likely more so than a 3d printer and far fewer of us have them, have access to them or even know how to use them. Know your audience! Either I really need to learn where you shop for your metalworking tools or you really need to learn where most of us shop for 3d printers! Simplicity is in the eye of the beholder. I’m betting that you had many years of learning experience to make metal working seem “simple” to you today. To many of us it does not. I bet 3d printing is simpler to many of us than it is to you. What? Sit there and stare at it? Go get a coffee, watch a move, meet a girl (or guy) or something. Again, either I really need to learn where you buy your metal or you really need to learn where I buy my plastic. I suspect that you are including the cost of the printer in the 3d printed part but not including the cost of the lathe, band saw, drill press and whatever else you would use for the aluminum one. Nice double standard ya got going there! Producing one-off components is great for a non-professional hobbyist or for a professional manufacturer working on prototypes. And, there’s that “great expense” thing again. You can print a LOT of stuff from a single $15 roll of filament. I really think you don’t know what you are talking about here. Duh! Whose talking about manufacturing? One-offs vs mass production are completely different problems. Even industry is beginning to use 3d printers more and more for it’s one-off prototypes! I bet I can print my one-off item in a tiny fraction of the time it takes a pro machinist to make a good mold for an injection molding machine. That doesn’t mean I would want to produce 100,000 that way. Use the right tool for the right job! Of course! I don’t think anyone was expecting the plastic part to work in this particular application! It’s just a Youtube video, mostly for entertainment. Just how long would it last and what would the destruction look like… now we know, that was fun! If everything must be shoehorned into some useful purpose though… you mentioned casting. I’m sure many of us are thinking… what if I needed to fix my lawnmower, I 3d printed the part in PLA or wax and then used that for sandcasting aluminum? Would it be good enough to work well without a bunch of expensive metalworking tools and years of shop knowledge? Maybe I could get away with just using a simple dremel for the finishing or maybe even no finishing at all? Would that be worth it? If one’s skillset involves 3d modeling on a computer rather than complicated metal working then yes, absolutely! And then if one uploads the design to the internet it becomes something almost anyone can do. How is that not awesome?!?! Yeah, I’d love to have a shop full of machining and casting equipment. However I’d need tens of thousands of dollars for A) A Shop B) Machining Equipment and C) Casting Equipment. It is far more economical for me to get professionals to do that for me. I’d love to do it on my own, but it’s just not economical. So for now, I just tackle the problems little plastic widgets can solve with a tool and accessories that fits on one shelf in my closet. That’s not an entirely fair assessment either. Plenty of people do set up metal shops in their own homes. The internet and even this very site are littered with articles and videos about people making their own equipment for metal casting, setting up shops with old lathes and other equipment or buying the cheap ones from China and improving them to usefulness or even building metal working gear from scratch. Metal vs plastic is a divide among the maker crowds where many of us are familiar and comfortable with one but see the other as too expensive, too difficult or just plain out of reach. It’s more of an artificial divide though as the barrier to entry on both sides is not insurmountable. Personally I intend to one day cross that divide and develop some metal working capabilities myself. I don’t think I am going to require tens of thousands of dollars to do so! That being said, there IS a barrier to entry on both sides. A person skilled and tooled in one is not going to instantly drop what they know and pick up the other just because widget X needs fixed and the other tool is the better one for that job. Ideally we would all learn as many skills and obtain access to as many kinds of tools as possible. (that may just mean at the local makerspace) That just makes us better makers. Sticking entirely on one side and dismissing the other as too expensive, too difficult or not useful is to miss out on a lot of good stuff. Go check out “The King of Random” and his aluminum casting on YouTube! You have, as we say in the industry, been bested by a troll. You don’t know much about 3D Printing do you? You talk about the cost of a 3d printer being prohibitive to using one, you talk about the cost of the filament and the limited utility that the printer has, but you fail to mention the knowledge required to use a metal lathe, drill press, band saw, and a freaking CASTING setup. As well as the cost of raw stock from which to manufacture this component. I can buy a decent spool of filament (1 kg) for about $20. From that spool I can print many, many things, depending on infill percentage and general volume of the print. 3D Printing something like this cylinder head was an interesting experiment. I posture that if you were able to plate the inside of the part with a heat resistant metal (I am not a metallurgical expert), it might be able to survive for much longer, perhaps even to the extent that a milled piece of aluminum could. You might want to research the advances in 3D printing that have happened in the last few years. It’s really not very cost-prohibitive anymore. I mean obviously it’s not an attempt to make a serious replacement, it’s an exercise in futility for curiosity’s sake. Don’t you ever wonder what you can really get away with? This guy’s been making cylinder heads out of weird stuff for a while, and frankly it’s surprising how well crummy materials work for a short period of time. It’s actually amazing that aluminum even works. It’s all in the way it conducts heat away from the chamber, and the rapid endothermic decompression effect when the exhaust valve opens, pulling heat out of the walls and into the hot gasses to carry the excess heat on their way out. Even the dwell of the exhaust valve on the valve seat is utterly essential to cool the valve, radiating out just enough heat in a fraction of a second. Otherwise even metal would melt. Of course that’s another huge problem for a head material that’s anything but metal; if you could somehow get it to survive for more than a few seconds (say by using a ceramic of some kind) it would still lead to a dropped exhaust valve since it couldn’t radiate heat away effectively by merely traveling up the valve stem. It needs that seat time. Goof around with weird experiments like this and you’ll learn more than just the stuff they make you memorize it mechanic school. You’ll learn theory and how it applies to practice. You’ll learn where the boundaries are, and which ones have a bit of flex. Not something mere mortals can afford without a mortgage. Yep, will easily cost more than whole new mower. Change the whole thing over to electric. Become the Tesla of mowers. It might even out-cost the lawn that is to be mowed! But maybe lost-pla casting in aluminium will help? There are filaments intended for casting that are probably much easier to work with than PLA. Why does everyone keep trying to melt/burn PLA out of a cast? @Travis Howard Prices for PLA vary. I pay $7.5/kg for mine. I seem to remember seeing someone advertise stuff that was made for casting at $65/kg. Your link doesn’t even list a price, they want you to contact them and discuss it. For individulas, not companies that usually means if you have to ask you can’t afford it! Prices are coming down, and considering the near infinite shelf life of kept cool, makes me want to try it just to have another trick up my sleeve. I contacted JB Weld a year ago for their temperature specs. The epoxy fails around 275-285c. At 300c, it turns to a metal powder. I never did anything with their high heat epoxy. It’s probably a bit higher. But who knows. From my research, you can get many years out of JB weld on intake ports etc that stay close to coolant temperature with no flame exposure… exhaust ports it can last “months” but that’s all down to thickness and how well it transfers heat out and how much expansion and contraction the ports do. So it’s usable for exhaust port development in some instances, or if you field a “new” head every season in competition. Being metal filled it does have some thermal conductivity (And actually isn’t too terrible as a thermal epoxy if you apply really really thin) but obviously not as much as most metals. For that I have to organize small hack event of kidney remove&sell from all my neighbors, and it still might be short. His videos using different fluids as engine lubricant then testing bits and peices of the engine are good. The problem is, by the time the new cylinder head is off the printer, the whole lawn will have grown another two inches. Sounds like a better excuse to set up a home aluminum foundry than a 3D printer. I wonder how using the cracked cylinder head as a sandcasting pattern would have worked? As someone else has already posted, you can 3D print a part in PLA, and then treat it like wax to make a mould for casting in Al (or anything else you can melt). Are paste extruders to a point where they can get the tolerances for such a part? This reminds me, I attended a Garden Tractor Pull a few weeks ago. As I walked through the “pits”, I noticed a number of the “stock” L-head engines had a 1+ inch thick slab of alumin[i]um for the head. This website shows an example. This is funny as I spend a lot of time with small engines and the only way I have ever seen anybody lose a head is by stripping the spark plug hole. And that is usually fixabel with a helicoil. Sometimes if it was a shallow plug and there is clearance you can also just use a longer plug and hit some damaged threads. I have seen heads get loose and the gaskets leak and sometimes if that goes on for a long time they will get damaged, but I can say in all honesty, I have never seen a head fail. Exactly when were you doing when this happened? Also, not to be a spoil sport, but given heads almost never die, there is usually a good supply of them on junk mowers. Carbs, not so much, but heads.. Lots and lots of em. Adding helicoils to this setup might help. I didn’t consider that. Good point. I bought a new Russian built carb last year on AmazBay to replace one on a Tecumseh engine, it hasn’t worked out. Thank you for that comment! I have been looking at them and wondering. I have a tamper that I may wanna use alter on in the season. I got it for a great price but it’s carb is missing. I was looking at the import replacements for under $15 and wondering if they are any good. I have a friend who rebuilds twins for older JD garden tractors and he has tried the imports and said they don’t measure up either. He did say that some of the parts interchange though and most of the pieces that interchange are functional. It is interesting that they have not mastered them yet. There is some little tweak in the casting that they apparently left out that is impotent. In my city, used push mowers cost twice what IC ones cost, and new the entry level prices are about the same. It is more a preference or lifestyle choice than a cost saver. Interestingly in the last few years everyone in my neighborhood has switched over to lithium battery cordless mowers. Makes for a much quieter weekend. This is how the US is going to switch to green technologies, quietly and without fanfare. One day you wake up and everyone has a self driving cordless electric mower, the next day everyone has solar panels. Those that don’t switch will find their cost of living just goes up steadily and they are no longer competitive. If I need a “new” gas mower it usually costs me about $60. Obviously that’s not new, I have retired relatives that go to a lot of garage sales. Anyway, I have obtained some pretty good lawn mowers that have lasted for multiple years this way. The one I have now is probably in it’s 5th or 6th year for me and still going strong. I have replaced the spark plug once and the oil plus air filter twice. Also, $10 of gas lasts me about a year and a half. I haven’t yet tried an electric mower. 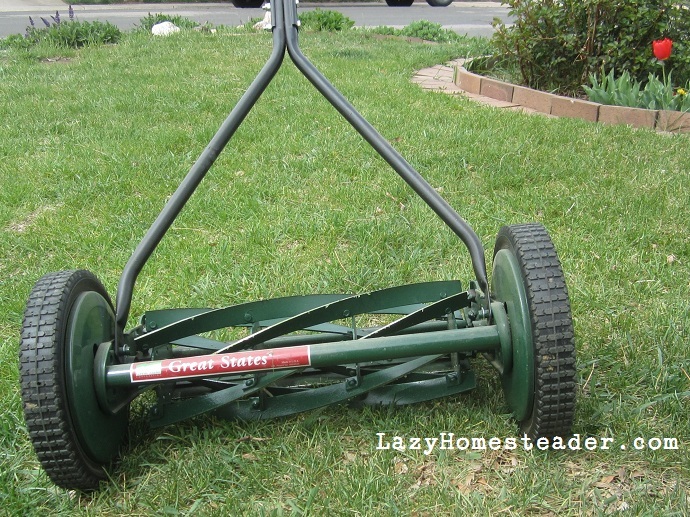 I have tried some old, used electric powered string trimmers. Even the line-powered ones absolutely sucked! They didn’t have enough power to cut through the stem of a single hearty weed! I’ve heard that the new ones are much better. But for what price? And how many seasons before the battery no longer holds a decent charge? Whose cost of living is higher again?!?! Maybe I am just benefiting from the cast-offs of all the people who are switching to electric. But even so, they are plentiful and cheap! It would seem I can probably keep that up for decades. Meanwhile implying a gas-user will have a higher cost of living, at least in the next several years seems pretty laughable. Don’t get me wrong, I would like to ditch gas for the environmental benefit and even just to keep the smelly stuff out of my own toolshed. But… the price of a good new electric mower and the subsequent batteries… that’s a lot more than I am willing to spend on growing useless grass! I have 3 Homelite string trimmers, other than the fuel, I only had to pay for primer bulbs, or fuel lines or filters to get them running (and for fuel and string to keep them running). I grabbed the first one just for the adventure to tear it apart. But, it was easily fixed without disassembling. Now I’m wondering if I should attach one to my quadr[ai]cycle. Don’t worry, all academic. Soon the planet will be too warm to support grass. Many grasses can survive temps where humans start to dying of heat stroke so if it got warm enough to kill it off there wounldn’t be any one left to care. Want climate change deniers to take global warming seriously? Perhaps not demonstrating a tendency towards exaggeration might help. From the fossil record we have an idea what the planet looks like with a great deal more CO2 because it’s been there before. Just look at the Jurassic. Grass didn’t exist yet but certainly a great deal of life did live and thrive. I bet grass COULD have existed given a time machine to go plant it. Worst case we will probably return to those temperatures. Now.. that of course does NOT mean everything is ok. Changing the climate that quickly means life does not have time to adapt. This could easily result in massive die-offs, extinction for many species and famine for us. Also we love living on the coasts. The ocean is great for food, recreation and industry alike. So.. many of our population centers could end up under water leading to massive waves of refugees. Then eventually, at the cost of a whole lot of lives and a ridiculous amount of suffering for some number of generations everything would even back out to a new normal and our surviving descendants, smaller in number and hopefully wiser about their energy sources will build their new cities at more extreme latitudes. That is bad but I think too many people talk like it will go all the way and we will end up with a second Venus. A burning wasteland where not even grass grows? Maybe that will happen in places but not world-wide. To achieve that all across the globe I think we would have to start importing massive amounts of carbon from off the planet as there probably just isn’t enough here. If there was the Earth would likely have never been habitable in the first place. I paid $2 for a ’68 vintage mower in 2005 and used it until 2016, started cutting out after 15 mins run time, I just got frustrated with it though and “parked” it, so maybe a thorough going over and service would have it running great again. However, I replaced it with a $40 one that has driven wheels and starts easier. You sound like my kind of guy! I built a greenhouse this spring and I had a lot more starts than I expected. Rather than just let them die in the starter boxes I built, I decided to get my rototiller going and scratch up a new place for them. I have not had the tiller going in perhaps 5 or more years. It is a 1952 Merry TIller. When something is that old, sitting for a few years is just a small fraction of it’s life so fixing it makes sense. I had to remove and clean the carb real good, I thought the points were stuck, but no. Than I thought the coil was bad but no, it turned out the insulation on the wire from the points to the coil had a hairline crack in it and it was shorting out. A quick oil change and she sputtered to life on the second pull. As far as mowers go, man are you on another planet thinking electric. My fav two push mowers are old 2 cycle beasts. A jacobson from around the time I was born and a lawnboy that was new when I was a kid. 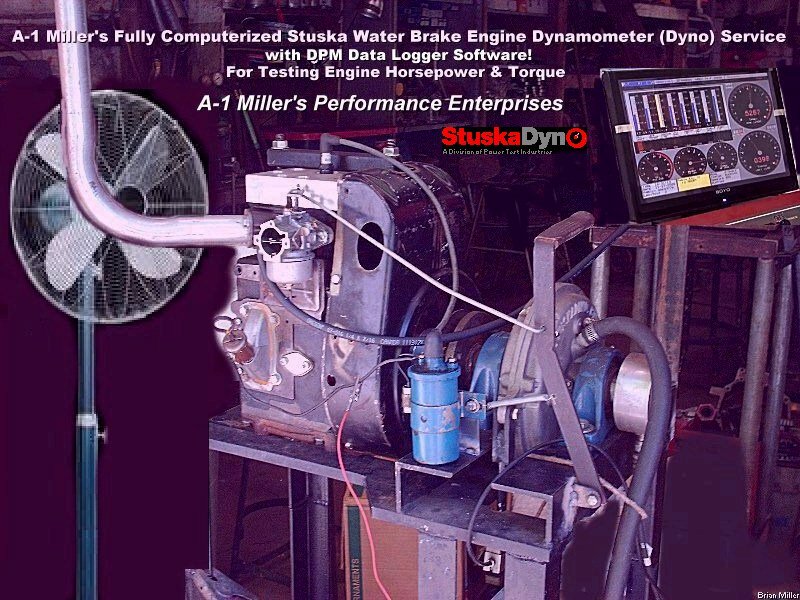 Just amazing power to weight, and really simple and no fluids to change. What’s not to love? I also have a large collection of 4 cycle mowers and riders. I collect them. I have one old beast I refer to as my sacrificial mower. If I have to go in tall grass, and by tall grass I mean stuff over my head, I will drag that old beast behind me and once the weeds are knocked down just go over them a few times until they are rendered into mush. I routinely hit rock, cans, bottle and stumps with it. That machine just refuses to die. The gas tank and carb vibrated off of it once, and I lost the long screw that holds the air cleaner on. duct tape does the trick… I could look over the boneyard for that screw but my field fix has held.. I really don’t feel the need to run out an buy an electric. If I get a free one, and I have seen them for free, I would probably see if any of the cells are good and loot the thing for it’s motor. My yard is too big for one of those toys I have to use a riding mower to finish it in a reasonable amount of time. i wonder how the metal filled filiments that you bake after printing would fare?